Asbestos has been used since the end of 19th century in Japan. 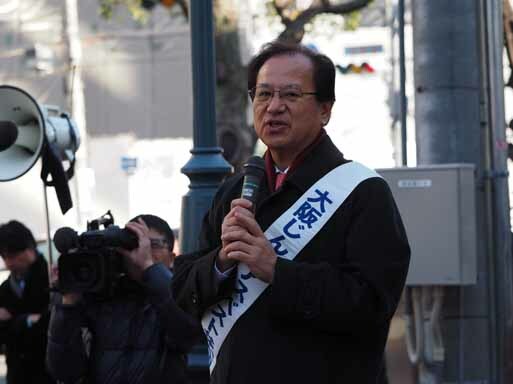 As Japan’s industrial manufacturing ran behind western countries, the control of asbestos was delayed and that caused the concerned asbestos victims to increase in Japan. 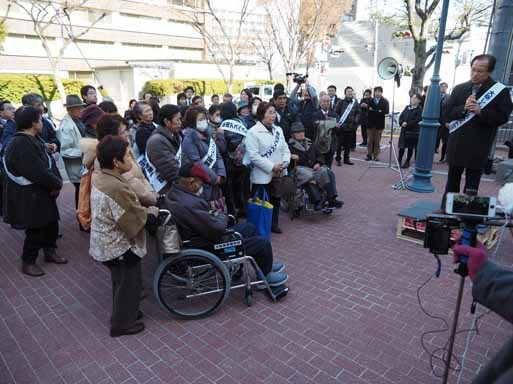 In June 29, 2005, Kubota, which is one of the biggest manufacturing companies in Japan, announced the occurrence of many occupational victims of asbestos, as well as the victims of asbestos dust from environmental exposure around the Kanzaki plant. That was what we call “Kubota Shock”. “Kubota Shock” triggered the discovery of other victims of asbestos in Japan. One of these was people in the Sennan area of Osaka. There had been many small asbestos textile factories in the Sennan area since 1907 to 2005. They manufactured asbestos yarn, cloth, and other insulation materials that were used for ships, cars, and construction, etc. There were only several big factories, and most of those factories were household industries typically operated by families and a few employees. So they were significantly different from Kubota in scale, equipment, and accordingly in compensation. In September 2005, we began our movement to figure out the reality of the health hazards in the Sennan area. 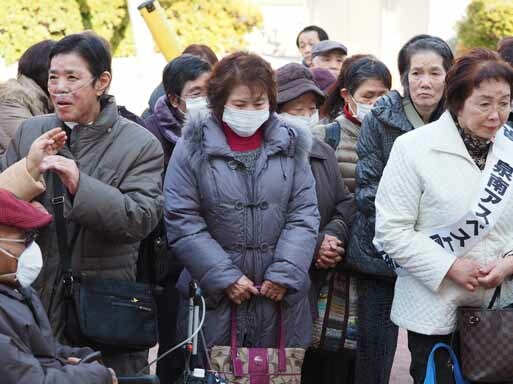 In November 2005, lawyers and doctors cooperated to conduct a medical and legal checkup session, and found lung abnormalities among more than 60% people who took X-ray examinations.